In accordance with the Order of the President of the Republic of Kazakhstan Nazarbayev N.A. ^(1) 05-4.8 dated 26 March 2008 the Government was instructed to make an appointment with the PFC Energy International Consulting Company. The Company has offered the project “Caspian collars”. The main purpose of this project is creation of the regional scale center which encompasses energy-related allied services- “Caspian Energy Hub” (hereinafter – “The Project” or “Caspian Energy Hub”). The main purpose of creation of the Caspian energy hub is the economic development of the region. 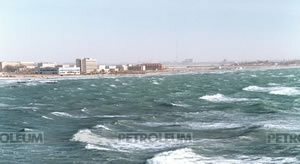 Supposingly, there will be the center of the oil and gas industry in the Caspian region created as a cluster of the branches and services of technical, intellectual and financial support of oil and gas industry, which are necessary for its further development. Considering the “energy hub” widely it can be presented as the interrelated segments of the specialized zone for creation of the center which encompasses energy-related allied services for oil and gas industry. Technical university of the international level. (There has already been arranged with Colorado University (USA), Delft University of technology (Netherlands) and the University of Texas at Austin (USA) to open its branches in the hub). The same centers have been already created and taken into work in Qatar. 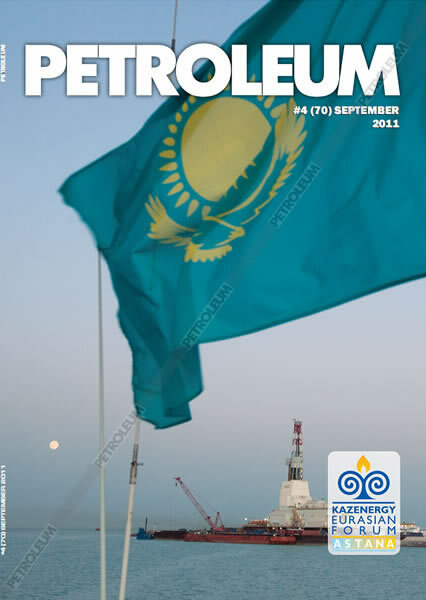 The Caspian energy hub in Aktau city is the part of the clusters, which is planned to realize in Asia and Middle East. During the World Economic Forum at Sharm El Sheikh, Egypt on May 18, 2008 where the President RK Nursultan Nazarbaev took part , there was signed the Agreement on realization of the Project “Caspian Energy Hub”. The Agreement was signed between (1) JSC “Kazakhstan Sustainable Development Fund “Kazyna”;(2) JSC “Kazakhstan Holding for Management of State Assets “Samruk”; (3) PFC Energy International Consulting Company, (4) Gulf Finance House Investment Company and (5) “ Mangystau” Investment Company”. 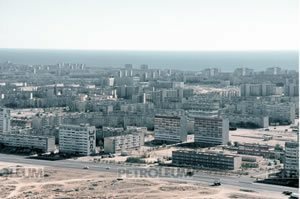 On August 5, 2008 akimat of Mangistau oblast and “Mangystau” Investment Company” signed the Memorandum of understanding with Gulf Finance House Company regarding supporting the Caspian Energy Hub by the external infrastructure. 2010 – a project on detailed development plan for 2010-2010 has been prepared. This plan provides three stages: preliminary, construction of internal and external infrastructure, realization.